Oh, such slow going! 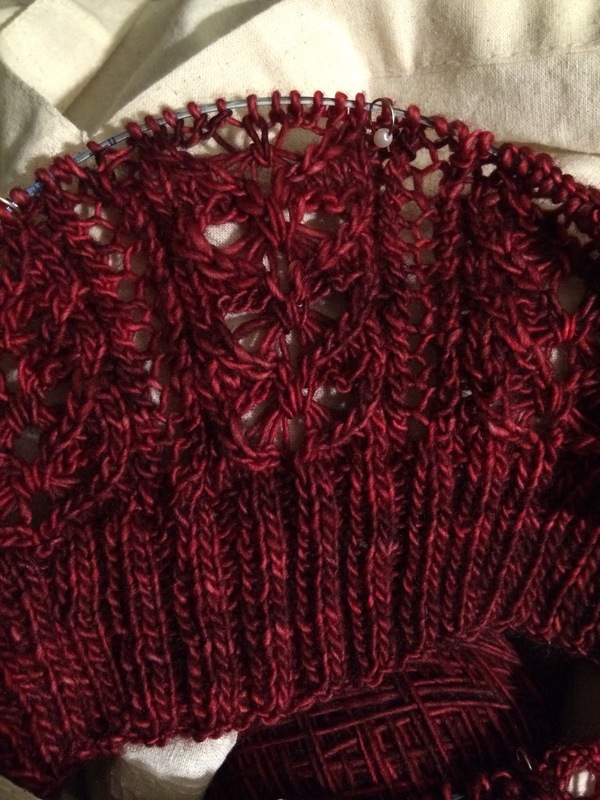 This is a tricky one- it isn’t getting that much knitting time due to the lace (lace and children, or lace and knit night, don’t go together so well), and when I do work on it, two of the rows are particularly slow. My biggest advice to you, if you are considering knitting this cardigan, get LACE TIPS!!! The sharper, the better!! !